The National Survey on Drug Use and Health (NSDUH) classifies current drug abuse as use within the month before the national survey, and in 2013, there were 1.5 million current American cocaine abusers (over the age of 11) by this standard. In 2015, the Monitoring the Future Study published by the National Institute on Drug Abuse (NIDA) reported that 4 percent of high school seniors had tried cocaine in their lifetime, and almost 15 percent of all Americans aged 12 and older had used the drug at some point in their lives. In the United States, the Drug Enforcement Administration, or DEA, classifies cocaine as a Schedule II controlled substance, which is just below the tightest control status since cocaine does have some minor medicinal uses as a topical anesthetic or to stop bleeding in some cases. That being said, cocaine is rarely used for these purposes and largely considered illegal in this country. Cocaine is considered to have a high potential for abuse and dependency. Cocaine abuse is not just found in the big cities these days, as drug traffickers may be discovering more creative methods to smuggle illegal drugs into and around the country. The Internet has shrunk the size of the world, and today, it may be possible to find and order illegal drugs online and have them shipped, bypassing the traditional drug dealer. The Sun Sentinel reports that authorities are seizing more packages of cocaine sent through the mail in recent years. Cocaine may be one of the most dangerous drugs, as it is the number one drug involved in illicit drug-related emergency department (ED) visits in 2011, at over 40 percent of all negative drug interactions. It also caused more than 500,000 Americans to seek ED treatment that year, the Drug Abuse Warning Network (DAWN) publishes. Cocaine is hazardous and highly addictive. Fortunately, there are many treatment options that foster recovery. 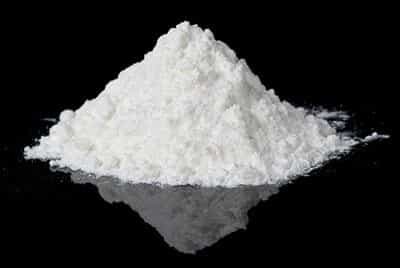 As a stimulant, cocaine increases bodily functions like blood pressure and heart rate, and it can create a powerful rush of euphoria, or a high. Cocaine is thought to block the neurotransmitter dopamine from being reabsorbed back into the brain, causing a backup of this natural chemical messenger that signals pleasure and leading to extreme euphoria, NIDA reports. Cocaine has a short half-life. According to the National Highway Traffic Safety Administration (NHTSA), cocaine can take effect almost immediately and wear off between minutes and hours, usually lasting no longer than 1-2 hours, depending on the method the drug was taken. Different methods of abuse absorb cocaine into the bloodstream at different rates, causing the drug to take effect and remain effective for a variable amount of time. For example, smoking cocaine may have an immediate effect and wear off within 5-15 minutes, while snorting will also have a quick onset but may last a little longer, between 15 and 30 minutes. When cocaine is injected, it likely starts working within 15-30 seconds. Ingesting the drug orally takes the longest to start working, and it can take up to an hour to begin feeling the effects. Since cocaine wears off quickly, it is often taken in a “binge” pattern where multiple doses of the drug may be taken back-to-back in order to keep the high going longer. When cocaine wears off, a “crash” may come after the high. Extreme ups and downs of mood and energy levels can be signs of cocaine abuse. Drug paraphernalia, such as IV drug materials (needles, syringes, rubber tubing, absence of shoelaces that may be used to tie off veins, etc. ), glass pipes for smoking crack cocaine, burned spoons for heating the drug to inject, straws or rolled papers for snorting cocaine, etc. Each method of abuse may have specific signs to be aware of as well. Individuals who smoke crack cocaine may have burns on their hands or fingers, while someone who injects it is likely to have “track marks” or needle injection marks on the arms or at the site of the injections. Someone who snorts cocaine may have noticeable irritation around the nose, have a chronic runny nose, or be prone to nosebleeds, while someone who smokes it may develop a persistent cough. The physical and behavioral signs of cocaine abuse may cycle between extremes depending on whether the individual is currently intoxicated (high) or coming down (crashing). Abusing cocaine for any length of time may create a tolerance level that requires individuals to take more of the drug to get the same effects. This may lead to a chemical dependency on cocaine. Abusing cocaine in a binge pattern may also more rapidly create a tolerance to and dependency on the drug. As dopamine levels are artificially altered in the brain due to the presence of cocaine, the brain may begin to manufacture less of this natural chemical, and without the drug’s interference, dopamine levels may drop. Without dopamine, which acts as a natural pleasure enhancer, individuals are left feeling depressed, anxious, irritable, restless, and agitated. In addition, they are likely to have trouble sleeping, and they may have trouble feeling pleasure at all. These are some common withdrawal symptoms that may occur when cocaine leaves the bloodstream. These symptoms may start within a few hours of the last dose in someone who has developed a dependency on cocaine. Drug cravings are also common. Cocaine may appear to take over a person’s life, and most of an individual’s time may be spent getting and using cocaine as well as recovering from use. Obsession with the drug is also a sign of addiction. Individuals may lose complete control over their drug use and may make multiple unsuccessful attempts to cut back or stop using cocaine. When someone has abused cocaine regularly for a while, panic and paranoia may also accompany its abuse along with tremors or muscle twitches. Cocaine may also be regularly mixed with other drugs or alcohol, which can increase the potential side effects and the chances of a life-threatening overdose. More than 100,000 Americans over the age of 11 were admitted to a public substance abuse treatment facility for cocaine abuse or dependency in 2012, representing almost 7 percent of total national admissions that year, per the Treatment Episode Data Set (TEDS). As a stimulant drug, cocaine may not have as many physical withdrawal symptoms as some of the other illicit drugs; however, the psychological and emotional side effects may still be rather intense and best managed through medical detox. This type of detox involves 24-hour medical care and monitoring, and may use medications to help with withdrawal symptoms. There are not any medications specifically approved for cocaine addiction as of yet; however, there are several that may be effective at helping to manage drug cravings, withdrawal symptoms, and possibly even prevent episodes of relapse. Beta blockers like propranolol may help mitigate withdrawal symptoms. Other medications that act on the reward circuitry in the brain, like topiramate, modafinil, baclofen, tiagabine, and disulfiram, have shown some promise in reducing relapse, the journal Psychiatry publishes. The level of dependency usually dictates which treatment method will be most beneficial, and the first goal of treatment is always physical stabilization. After an individual is stabilized physically, commonly through detox, the behavioral and emotional components of addiction can be addressed in order to promote recovery and prevent a return to drug use. In general, there are two main types of drug rehab: residential and outpatient. Both are likely to include counseling, education, life skills training, family and individual therapy sessions, and peer support or 12-Step meetings. Behavioral therapies are largely considered the optimal choice during cocaine or drug addiction treatment programs, as published by Psych Central. Behavioral therapy can help individuals to better understand why they may have turned to drug abuse in the first place, learn how to cope with potential stressors or triggers, and better manage difficult emotions. Research-based methods use scientific evidence coupled with therapeutic expertise to establish an individual treatment plan that may be most beneficial. Cognitive Behavioral Therapy (CBT) helps to shine light on negative emotions or thoughts, which can help to reverse them and thus impact self-destructive or negative behaviors and actions in the process. When an individual isn’t quite ready to accept that treatment is entirely necessary, Motivational Interviewing (MI) may be a method to foster acceptance and recognition that change is needed in order to accomplish life goals, thus increasing internal motivation in a nonconfrontational or judgmental manner. MI may be useful during an initial intervention, intake assessment, or substance abuse treatment. Outpatient services may be best suited for an individual who needs a little more flexibility and has a strong support system already in place. Residential cocaine treatment programs can provide a safe place where individuals can focus solely and intently on recovery outside of the pressures and stressors of everyday life. Programs often strive to treat the whole person and may use both traditional and holistic methods to do so. Nutritional counseling, fitness plans, meditation, creative outlets, and other options may be helpful to recreate a healthy balance between spirit, mind, and body. Twelve-step groups, like Cocaine Anonymous, or CA, help to establish a peer support network of individuals who can help each other throughout recovery. There are several choices when it comes to cocaine abuse and addiction treatment. A confidential assessment may be the first step in determining what may be best suited for each individual.